Where are you today, and what are we interrupting? Right now I’m at home, in Brooklyn, NY. You’re sort of interrupting waffle-eating, to be honest, but it’s cool. So for the benefit of anyone yet to Need Your Light, what can they expect? It’s really a re-invigoration of RRR. It’s the most fun we’ve had making a record since The Rhumb Line. We’re so excited and anxious to get it out. The ability to make music with people I love is more important than any one particular song. What was the starting point for the album? Well, it had a bit of a nebulous start. After almost a full calendar year of touring for Beta Love, we were all really burned out. At the end of 2013, we told all the management and label that we wanted to take some time off. At the time, we all thought we might have needed about a year to decompress and remember what it was like to have a personal life outside the band! It turned out that all we needed was to convince everyone that we weren’t going to rush into anything, and that was enough space for us to get really excited to work again. We got back together within a few months and started writing again, and we felt so free to explore all these songs in whatever direction they wanted to take. We felt no responsibility to make it “sound like RRR”, so that’s part of what helped us maintain excitement throughout the process. The song that actually sparked everything was "Bouncy Castle". We had a lot of demos and ideas floating around in the spring of 2014, but we decided to take a totally different approach and have Milo [Bonacci, guitarist] “produce” new demos for everything. And because that song has so much energy and humor, that set the tone for being able to laugh at whatever we were making (which is really important! ), without feeling self conscious. Can you tell us about your musical reference points for this record? Is it true Achtung Baby was an influence? Yes, that’s been a major source of inspiration for Rostam and I. [It’s] something we both loved forever but haven’t been able to explore it until just last year, when we started writing "Water". For me, it’s always been a special record because it was the first tape cassette my older brother got, and it may have had an impact on other parts of this record in terms of mixing live and electronic drums. Michael Jackson was another point of reference for Rostam and I, as well as early 90s neo-soul. You worked with Rostam Batmanglij (ex-Vampire Weekend) on your Discovery project too. How did that shape your direction on Need Your Light? When we started writing together again early last year, we didn’t have any project in particular in mind. I wasn’t sure if it’d be another Discovery record, or a new project, perhaps for some other artist. But to be able to write with a friend that you trust completely is always an amazing thing. He’s able to get really amazing performances out of me nearly every time I sing with him, and the combination of that with being able to laugh and have fun while you’re doing it is really exactly what you want to do in life. So it’s hard to say how exactly it shaped [Need Your Light] in sonic terms, but I think the attitude we had was just as important. Because I’ve known Rostam since before the early days of RRR, he’s also had a lot of ideas about what RRR could be and the directions that I could go as a singer, so that informed where we took those songs as well. Is there anything about the creative process that you approached purposely differently from that of your last LP? One thing that separated this record from our previous ones, was that we decided from the beginning that we weren’t going to rush into making another record. We wanted to explore the songs as long as they took to feel good, and not just work with one producer or writer. When you’re younger, sometimes you feel precious about the demos you make and don’t want them to change much, but we’ve found that collaboration can also be one of the most exciting and fruitful ways to make music. We made songs with lots of different combinations of personnel and recorded in six different studios throughout the country, which kept it exciting and prevented us from ever feeling stuck. What were the challenges this time round? One of the main objectives of this record was to “cast a wider net”, both lyrically and musically. The references and concepts in Beta Love were so strong, and that’s what people really connected to but there were also a lot of people that it didn’t connect to. So perhaps, subconsciously, we wanted to take the things we learned from Beta Love, but make the themes and references more broadly appealing. And that is a lot more difficult than it sounds. It’s easy to make something general and non-specific, but to have it feel personal and connect is a totally different feeling and that’s what we wanted from Need Your Light. Lyrically, where were you drawing inspiration from for this album? One thing that was easier to do while making this record was to maintain a sense of humor in the music but particularly with lyrics. Sometimes deadlines can be good, but we knew coming out of 2013 that we needed freedom from them. That made it easier to laugh at ourselves and have more fun making this record than we’ve had since recording The Rhumb Line. In addition to that, Rostam and I really wanted to make songs that told a story, and I think that comes through in the two songs we did together. Do you draw on autobiographical experiences or are the stories observational? Most stories are a combination of the two. "Foreign Lovers" has the energy of youth, since I started writing that song when I was still a teenager and excited to see the world and experience everything. In "Water", there’s a reference to the quiet bus stop near Rostam’s studio that we’d walk by a lot, but I never worked there! Were there any cultural reference points, outside of music? One that comes to mind is just the energy of the city. We spent a lot of time in the woods in Seattle, but a significant chunk of the record comes from both LA and NY. It’s always important to us to make a dynamic record, so we work well in both environments, but I think the energy of both cities really played into the songs. The best example of this is to watch the video for "Water" and you can hear and see some of the places and ideas that we were thinking of when we wrote the song. What’s the significance of the album title for you? 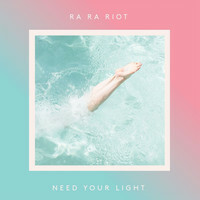 Need Your Light is about love, but it’s also about searching for relevance and meaning in your life. For us to discover that there were all these new places for us to explore within the relationships we’ve already had was really liberating and exciting. It’s easy to get hung up on obsessing over new experiences, but we found that growing the relationships we already had with people was just as important. Is there anything you learned in the making of this record? Personally, to find that I’m still capable of singing the best vocal performances of my life – particularly on "Water" and "I Need Your Light" – was a meaningful and joyful experience, and made me realise how important it is to be able to find new ways to work with people that you trust and respect. 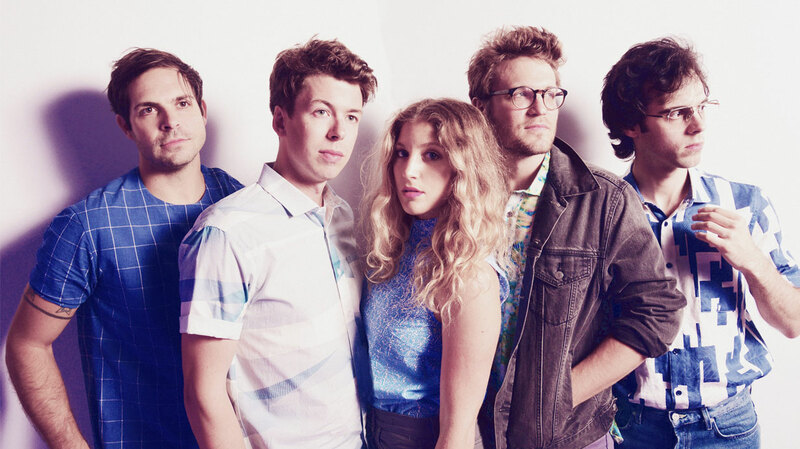 Ra Ra Riot has been in existence for 10 years now. How have your motivations for making music changed? It was more of a tacit drive when I was younger. I just wanted to make music, and that’s all there was to it. But now, seeing what it does for self-worth and how much it can connect friends makes it so much more important than it ever was. The ability to make music with people I love is more important than any one particular song.